Stay true to our gastronomy and every time try a different dish from our kitchen. Become a CHEF Club member and a CHEF Card holder. Being a member of the CHEF Club and having a CHEF Card does not only mean that you will receive special offers and DISCOUNTS when paying on any one of your visits to our establishments. It also means that you will have a chance to choose excellent REWARDS for the collected points - CHEFoints (CZK 1 = 1 point). A CHEF Card can be bought from members of staff for CZK 1,500.00 and in addition when purchasing the CHEF card the buyer will receive a REWARD VOUCHER to select a reward of his/her own choice from the 6,000 CHEFoint category. Detailed General Terms and Conditions can be found at the above website. For further informations please contact our customer service by email: fbm@adria.cz. For money spent in EACH establishment your account will be credited with points, the so-called CHEFoints. After reaching a certain number of CHEFoints you can choose one of the excellent rewards – see below. The Operator of the CHEF Club Programme is the ADRIA – NEPTUN, spol. s r.o. company with the registered office at Prague 1, Václavské námìstí 26, Postcode 110 00, incorporated in the Companies Register with the Municipal Court in Prague, Section C, Inset No. 2738 (hereinafter referred to only as the “ Operator”). The CHEF Club Loyalty Programme is a programme aimed at Customers purchasing goods or services in the establishments of the Operator. Its objective is to reward the Customers, who this programme relates to, by providing them with the possibility of getting a discount during their purchases and providing them with information about products and services of the Operator. These General Terms and Conditions of the CHEF Club Programme (hereinafter referred to only as the “General Terms and Conditions”) represent the basis of the activities of the CHEF Club Programme and determine the rights and obligations of a member of the CHEF Club Programme (hereinafter referred to only as the “Club Member/s”). Membership in the programme shall be verified with a Club Card. The General Terms and Conditions are valid from Aug. 1, 2012. They shall be binding for the Operator from the day of their posting on the website at http://www.adria-neptun.cz/aa-chefklub/, for an existing Club Member from the point when he/she voiced his/her consent with the wording of the General Terms and Conditions (consent is considered also to be the use of the Club Card after the posting of these General Terms and Conditions), and binding for a new Club Member, from the point when he/she voiced his/her consent therewith, i.e. from the day of the registration with the Club. 1.2 A Club Member shall participate in the programme personally, the membership is non-transferable. 1.3 A Club Member is entitled to only one membership, one Club Card and one member’s account within the scope of the CHEF Club. 1.4 It is not possible to transfer points or rights arising from participation in the CHEF Club to another person. “CHEFoints” cannot be transferred between participating Club Members or handled in any way other than stipulated in the General Terms and Conditions. 1.5 Neither discounts in accordance with Article 3, Item 3.4, nor “CHEFoints” may be exchanged for cash. 1.6 The right to make use of the Club Member account and the right to exchange “CHEFoints” for reward or discount vouchers is held solely by Club Members. 1.7 Membership in the CHEF Club may be connected with the right to participate in the promotional drives aimed at Club Members and relating to selected events organised by the Operator. At the discretion of the Operator these events may be organised for more guests at once or it may be an event with individual participation. 2.1 Only an individual of at least eighteen years of age may become a CHEF Club Member. 2.3 Together with the Questionnaire a customer shall receive the General Terms and Conditions of the CHEF Club in the establishment of the Operator. The actual wording of the General Terms and Conditions may be found on the website http://www.adria-neptun.cz/aa-chefklub/ and in all establishments of the Operator. 2.4 The Operator shall accept only a correctly, legibly and fully completed Questionnaire, including the Customer’s approval with the handling of his/her personal data. If the Customer does not give his/her approval to the handling of his/her personal data it is impossible for the Operator to set up and administer a Club account for the Customer. 2.5 A Club Member shall be bound to immediately inform the Operator about any changes in his/her personal data stipulated in the Questionnaire. If the Club Member fails to comply with this obligation, the Operator shall not bear responsibility for possible delays or other imperfections in his activities caused by not updating the personal data of the Club Member promptly. 2.6 The personal data of Club Members contained in the completed Questionnaire shall be recorded in the CHEF Club database within the period of 14 days from the handing over of the completed Questionnaire to the staff of the Operator or from the sending of the completed Questionnaire electronically via http://www.adria-neptun.cz/aa-chefklub/, if this is technically possible for the Operator, otherwise in the shortest time possible. 2.7 The Operator reserves the right to refuse to accept the Questionnaire in well founded cases, particularly if the Questionnaire was improperly or illegibly filled in or not signed or the Questionnaire was filled in by a person who is already a Club Member or who was expelled from the the CHEF Club. 3.1 The CHEF Club Card is proof of its holder’s membership in the CHEF Club Programme. 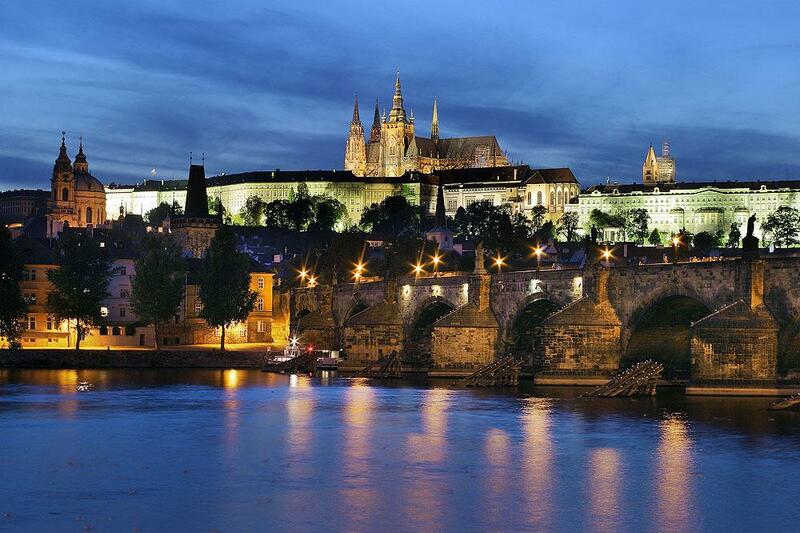 3.2 The CHEF Club Card with the entitlement to take advantage of the loyalty programme can be purchased in the establishments of the Operator for CZK 1,500.00. 3.3 Moreover, The CHEF Card can also be acquired free of charge upon the purchase of goods or services in the establishment of the Operator. The Club Member activates the CHEF Card upon completing the Questionnaire directly in the establishment or upon registering in the CHEF Club on the website http://www.adria-neptun.cz/aa-chefklub/. After registering in the Club a Club Member may use the CHEF Card to accumulate points, the so-called “CHEFoints” and to choose rewards – the current offer of rewards can be found on the website http://www.adria-neptun.cz/aa-chefklub/. After accumulating the determined number of “CHEFoints”, it is possible to exchange them for rewards pursuant to the current offers of the CHEF Club Programme. 3.4 The CHEF Club Card enables a Club Member to accumulate “CHEFoints” in the member’s account, which are granted to him/her as a bonus for the purchase of goods or services determined by the Operator in the establishments of the Operator stipulated in these General Terms and Conditions. 3.5 Furthermore, the CHEF Club Card entitles a Club Member to make purchases with the below specified discounts in the following establishments of the Operator: The establishment - ADRIA Hotel Prague, Václavské námìstí 26, 110 00 Prague 1, specifically in the TRITON Restaurant, LOBBY Bar with outside seating, CIGAR Room, - Purchase of goods and services with a 10% discount off of the Operator’s prices, and The establishment - U Pinkasù Restaurant, Jungmannovo nám. 15, 110 00 Prague 1, specifically on the ground floor: Vavøincova Kuchynì and Dolní Snìmovna pub, on the first floor: Beer Bar and Horní Snìmovna Restaurant and Old-Czech DOMA Restaurant, the outdoor seating – Beer Zadní zahrádka and in the basement: Pinkas Cellar with Ice-room, - Purchase of goods and services with a 10% discount off of the Operator’s prices, and The establishment - Zlatá Hvìzda Hotel, Masarykovo námìstí 107, 379 01 Tøeboò, specifically in the Zdejší kuchynì restaurant, Buffet na rynku, Wellness Centre, Bowling Bar with bike hire - Purchase of goods and services with a 10% discount off of the Operator’s prices. 3.6 A Club Member shall be bound to inform the Operator immediately about the theft or loss of the CHEF Club Card. 3.7 Unless a Club Member complies with the above stipulated reporting obligation, the Operator shall bear no responsibility for the unauthorised use of the CHEF Card or an unauthorised claim for a discount or reward. 3.8 Only in the case of the theft, loss of or damage to the CHEF Club Card shall a Club Member be entitled to apply for a duplicate Card. To acquire a duplicate Card it shall be necessary to fill in a new Questionnaire in the establishment of the Operator specifying that a duplicate Card is requested. Only if the Questionnaire is completed properly, may a Club Member be guaranteed that the points acquired from purchasing on the original Card are transferred to the new Card. 3.9 The CHEF Club Card is the property of the Operator; it is loaned to the Club Member, who is not entitled to loan or transfer it to a third party. The Operator shall be entitled to confiscate the Club Card if it has been used contrary to these General Terms and Conditions or an attempt of such has been made. 3.10 The CHEF Club Card shall be valid solely for the duration of the membership of the Club Member in the CHEF Club. 4.1 The Operator undertakes to credit the account of the Club Member with “CHEFoints” for the goods and services purchased within the scope of the CHEF Club Programme in the given premises of the Operator’s establishments. The points are not credited to a Club Member for the purchase of Gift Certificates; neither shall such a transaction be registered in the Club Member’s account. 4.2 The Operator reserves the right to determine the goods and services, the sale or provision of which comes under the CHEF Club Programme. Moreover, the Operator reserves the right to determine the number of points credited to the account of a Club Member in the case of him/her purchasing these goods and services. 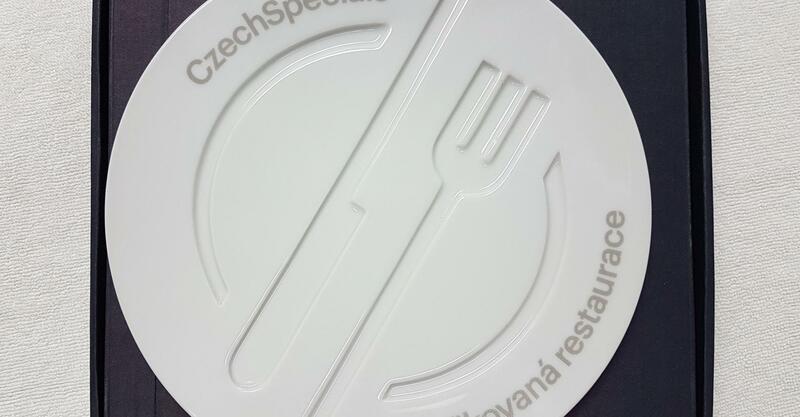 4.3 The Operator credits the Club Member’s account with points depending on the value of his/her purchase, whereby for each CZK 1 spent 1 “CHEFoint” shall be credited. The Operator shall register, in the Club Member’s account, all purchases of the Club Member made in one day, providing they meet these General Terms and Conditions. 4.4 The Operator reserves the right to change the ratio of recalculating the “CHEFoints” stipulated in Item 4.3 and also alter the inclusion of goods or services in the CHEF Club Programme subject to Article 4.2. 4.5 In order to be credited with points, before using services or making the purchase of goods included in the CHEF Club Programme, a Club Member shall be bound to present his/her CHEF Club Card to the staff in the premises of the relevant establishment of the Operator. 4.6 Detailed information on the balance of the account of a Club Member can be found on the website http://www.adria-neptun.cz/aa-chefklub/ or on request in the establishments of the Operator. 5.1 The Operator reserves the right to deduct the already credited “CHEFoints” in the case of the goods being returned after being purchased by a Club Member. The Operator shall deduct the number of points determined in accordance with Item 4.3, which corresponds to the value of the returned goods. 5.2 If it concerns a case as is stipulated in Item 5.1, when returning the goods the Club Member shall be bound to present the CHEF Club Card to a member of staff of the Operator in the relevant premises of the establishment. The Operator shall be entitled to deduct the already credited “CHEFoints” from the account of the Club Member for reasons in accordance with Item 5.1., also without being presented the CHEF Club Card by the Club Member. 5.3 The validity of the “CHEFoints” collected by a Club Member in his/her account is not time limited. The validity of the “CHEFoints” collected by a Club Member shall expire on the day of the termination of the Club membership. Points, which were not used for ordering reward vouchers by the day of the termination of the Club membership in accordance with the General Terms and Conditions, shall expire on the day of the termination of the Club membership. 5.4. The Operator reserves the right to deduct the already credited “CHEFoints” if the number of points in the Club Member’s account exceeds by three fold the points of the currently highest point category, on condition that the Operator invites the Club Member beforehand in writing to order and choose rewards and the Club Member fails to order the reward within 1 month from the day of the sending of the invitation. In such a case the Operator shall deduct the number of points at the amount matching the currently highest point category from the Club Member’s account. 6.1 The entitlement to choose rewards shall arise, as soon as a Club Member accumulates the determined amount of points. Afterwards a Club Member shall be entitled to choose a reward from the rewards currently on offer in the given point category. The unused points in the account of a Club Member shall remain valid. It is possible to choose rewards at any time and order them from the Operator at the website http://www.adria-neptun.cz/aa-chefklub/ or on telephone No. +420 221 081 230. 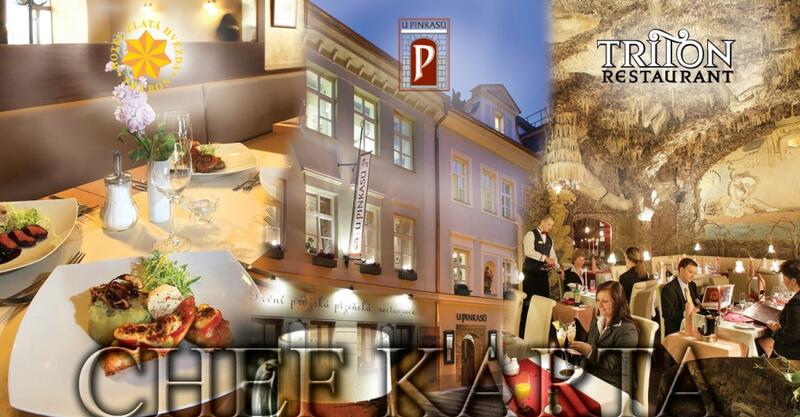 A Club Member shall receive the chosen reward in the form of a voucher, the validity of which from the date of its issue is stipulated on the website of the Operator http://www.adria-neptun.cz/aa-chefklub/ for each specific reward. A Club Member is entitled to use a voucher for purchasing goods at anytime during its validity and for purchasing services at anytime during its validity after the previous booking confirmed by the establishment of the Operator. 6.2 A Club Member shall make use of the voucher in the following way: before making the purchase of the services or goods he/she shall hand it in to the relevant staff member of the Operator upon his/her arrival at the establishment before the purchase. At the point of the Club Member claiming the voucher, the Operator reserves the right to check the identity of the Club Member by asking him/her to present his/her CHEF Card. If the identity of the Club Member is not credibly checked, the Operator may refuse to grant a discount. Moreover, it is necessary to present the original voucher; copies of vouchers shall not be accepted. 6.3 A Club Member may collect a voucher personally in the establishment of the Operator or have it sent by the Operator by post to the address stipulated in the Questionnaire within 14 days from the day of confirming the selected reward. 6.4 In the case of losing a voucher, a Club Member may request the issuing of a duplicate solely within the period of its validity. After the expiry of the validity of the voucher, a duplicate shall not be issued. Issuing of a duplicate may be requested on telephone number +420 221 081 230 or at one of the establishments of the Operator. 6.5 Each voucher may be used for one purchase only. 6.6 A voucher cannot be exchanged for cash. 6.6 A voucher cannot be used in combination with other promotional drives or discount offers running in the establishments of the Operator. 6.7 If a Club Member is offered a one-off discount at a different amount, a Club Member may make use of this discount in a way of presenting a staff member of the Operator with the voucher for such a discount. The discount indicated on the voucher cannot be used in combination with other promotional drives or discount offers running in the establishments of the Operator, or with the discounts stipulated in Item 3.4. 6.8 The Operator reserves the right to change the type of rewards or to change the reward for a reward of a similar type matching the same number of “CHEFoints” or to cancel the reward completely. 6.9 The Operator reserves the right to determine and change, at any time, the point categories and the rewards allocated to them, presented on the website http://www.adria-neptun.cz/aa-chefklub/ 6.10 No offers (discounts) intended for a Club Member may be added together or used in combination, unless the Operator states otherwise. 7.1 The Operator shall be entitled with immediate effect to expel a CHEF Club member if: a. The Club Member does not observe the General Terms and Conditions, or b. The Club Member stated untrue information in the Questionnaire or submitted or completed the Questionnaire on behalf of a different person, or c. The Club Member withdraws his/her approval to processing the personal data, whose disclosure in the Questionnaire is compulsory, and whose processing is essential for the administration of the account of the Club Member, or disagrees with the extent of the processing of his/her personal data. 7.2 The Operator is similarly entitled to expel a Club Member if the account of the Club Member has not been credited with any points for a period of at least 36 months. 7.3 Upon the death of a Club Member, his/her membership in the Club shall end. 7.4 In cases stipulated in Items 7.1 and 7.3 the Operator shall be entitled to cancel all of the points registered in the account of the Club Member and close the account. 7.5 A Club Member shall be entitled to cancel his/her membership in the CHEF Club at any time by means of a written and signed declaration delivered to the Operator. In such a case all points and purchases registered in the account of the Club Member shall be cancelled and the account shall be closed. 8.1 The Operator reserves the right to suspend or terminate the activities of the CHEF Club at any time. 8.3 If the activities of the CHEF Club are terminated, a Club Member, who has accumulated the relevant number of points, shall be entitled to order the exchange of the points for corresponding vouchers within the period of 14 days from the day, when he/she receives the notification from the Operator about the termination of the activities of the CHEF Club by e-mail at the address of the Club Member stipulated in the Questionnaire. After the end of the stipulated period all points in member’s accounts shall be cancelled and all accounts closed. 8.4. The right to rewards or vouchers is not legally enforceable. 9.1 The Operator reserves the right to amend the General Terms and Conditions at any time. Amendments to the General Terms and Conditions shall be valid from the day of their posting on the website http://www.adria-neptun.cz/aa-chefklub/. Use of a Club Card by a Club Member after the amendments to the General Terms and Conditions having been posted shall be regarded as consent to these amendments. 10.1 By signing the Questionnaire or completing the Questionnaire on the website and sending it via the web application, the Customer explicitly approves of the Operator processing his/her personal data provided in the Questionnaire as well as other data passed on to the Operator within business contacts, particularly in connection with his/her participation in the CHEF Club. This approval has been granted for an indefinite period of time, or more precisely until the written revocation of this approval, or possibly until the termination of the activities of the CHEF Club. The Customer takes into account that his/her approval may be withdrawn at any time in writing. 10.2 As a data controller the provider is obliged to process the customer's personal data in accordance with Regulation (EU) 2016/679 of the European Parliament and of the Council and Act No. 101/2000 Coll., on Personal Data Protection, as amended. The Customer takes into account that the Operator is informing him/her through these General Terms and Conditions and he/she agrees with the Operator processing his/her personal data for the purpose of offering services or goods and for the purpose of administering his/her account in the CHEF Club. Furthermore, the Customer gives his/her approval to the Operator processing his/her personal data for the above stipulated purposes through processing parties specified by the Operator. 10.3 After provable identification, the Club Member - customer is entitled to access, modify and correct, and is enabled to delete, data relating to him/her. To exercise this entitlement of yours, please contact the ADRIA – NEPTUN, spol. s r.o. company, Václavské námìstí 26, 110 00 Prague 1. 10.4 A Club Member agrees with the Operator sending him/her current information on business or promotional events, organised by the Operator in the establishments by means of post, telephone, SMS or e-mail, if he/she has voiced his/her consent therewith upon joining the CHEF Club or at anytime during his/her membership in the Club. 11.1 A CHEF Club Member expresses his/her agreement with these General Terms and Conditions by signing the Questionnaire or completing the Questionnaire at the website http://www.adria-neptun.cz/aa-chefklub/ and sending it via the web application when joining the CHEF Club. These General Terms and Conditions are valid as from May 25, 2018.